The Reading Association of the Philippines, in partnership with the UST Department of English and Department of Literature, is hosting an international conference on Aug. 2-4, 2018. 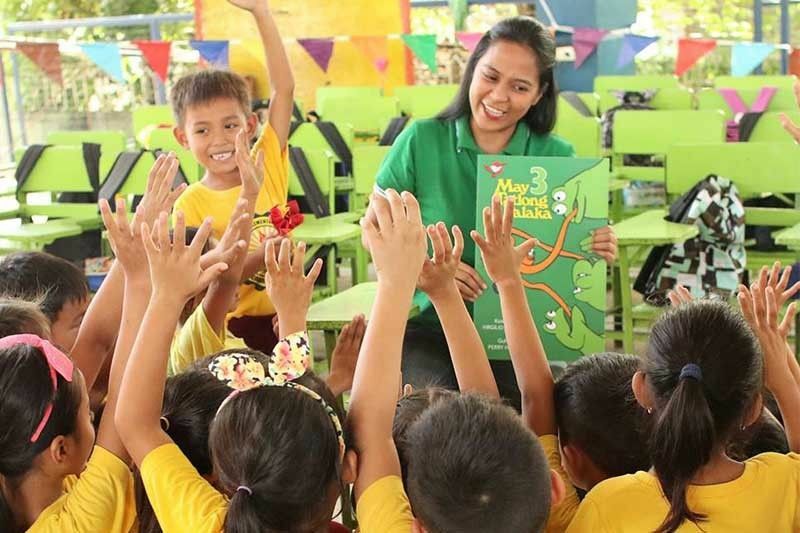 MANILA, Philippines — As civility in society's discussion of important issues becomes more and more difficult, there is a need to understand that literacy is a tool to help students become critical readers, so they can make informed decisions and act respectfully. It is because of this reason that the Reading Association of the Philippines, in partnership with the University of Santo Tomas Department of English and Department of Literature, is hosting an international conference at the Thomas Aquinas Research Complex Auditorium on the UST campus. The year's conference, which is slated from Aug. 2-4, has the theme "Literacy Towards Civility." The conference will feature plenary talks on respectful reading instruction (differentiated literacy instruction, equity in literacy instruction, learner-centered literacy instruction, balanced literacy, classroom discussion strategies); informed decision making (professional development, formative and summative reading assessment, historical comprehension, family literacy, critical thinking, teacher preparation); preservation of heritage (literacy practices, MTB-MLE, preservation of IPs literacy practices and literature, literacy instruction for historical texts, cultural mapping); tolerance in the midst of diversity (learning styles, multi-ethnic literacy instruction, adult literacy, inclusive classroom); literacy for social change(functional literacy, critical reading instruction, literacy practices, financial literacy); impact of literacy advocacies; critical reading of mass media and ethics in social media. RAP, an affiliate of the International Literacy Association, envisions a nation of readers and a high literacy rate through reading teachers. It aims to (1) to develop among the citizens a consciousness of the importance of reading, worthwhile reading tastes, and a lifetime habit of reading that will make everyone a reading Filipino; (2) to act as a clearinghouse for information on research, instruction and training and other matters related to reading and (3) to establish and maintain contacts with related national and international organizations and with individuals interested in promoting the purposes of the Association for mutual understanding, cooperative work and enlightenment. For inquiries, please contact Rosalyn G. Mirasol at 09296458884 and 09150490370 or rgmirasol@ust.edu.ph and Marie Grace Reoperez at 09284160969 or mgracereoperez@gmail.com.